DC’s restaurant scene has been heating up lately, and summer is only part of the story. There have been more new restaurants in DC than any suburban-dweller like myself can possibly keep up with. I have exhausted myself trying. Here is a round-up of four new (or newish) spots that are all hot… in one way or another. 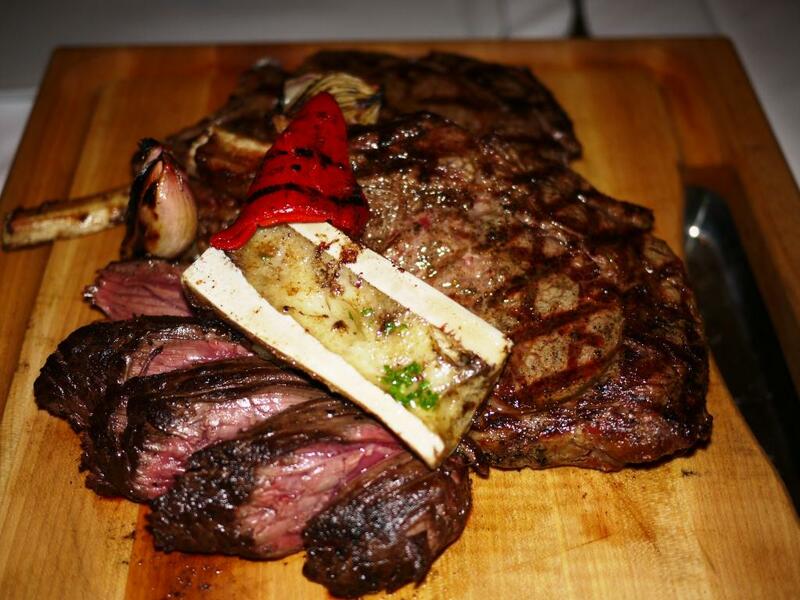 Grilled, charred, smoked, burnt, blistered….Del Campo’s menu is all about the heat. There are slices of grilled fruit in cocktails, smoked olive oil on the bread plate, even desserts may have a brush with the grill. The meat is the thing here, and it’s not to be missed. Portions are generous, and we have more than we can handle when three people share short ribs, “Gaucho” ribeye, and hanger steak. My only gripe about Del Campo is that our server could have given us more direction, particularly since we have a healthy selection of appetizers. But if you’re going to have too much food, it’s best when every last bite is worth it. Our group of nine is heavy on non-meat eaters. There is plenty for them to rave about including a vibrant tuna crudo with grilled avocado, olives, burnt shallots, and pistachios as well as a lively yellow tail, sweet potato, grilled corn, and citrus crudo. On the main dish side, varying species of fish are accented with the likes of blistered greens, burnt onions, and grilled olives. Vegetarians can delight in the wonders of a gorgeous pasqualina tart with swiss chard, spinach, parmesan, bechamel, and a fried farm egg. Say cheese. 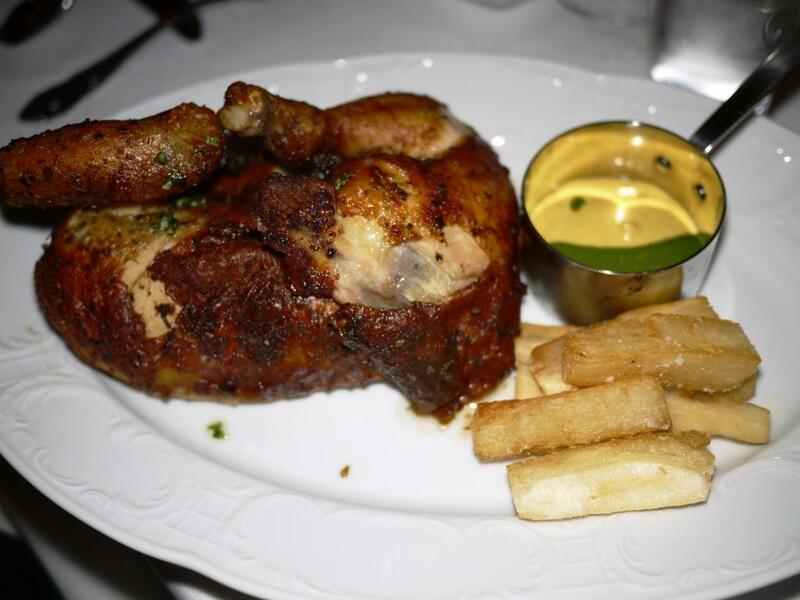 What I’m still thinking about a few weeks later, however, is the remarkable Peruvian chicken. Tender, flavorful, moist…did I say flavorful? Best chicken ever. I break into a sweat just thinking about it. Ghibellina is a new addition to 14th Street, the hottest destination in town this summer. 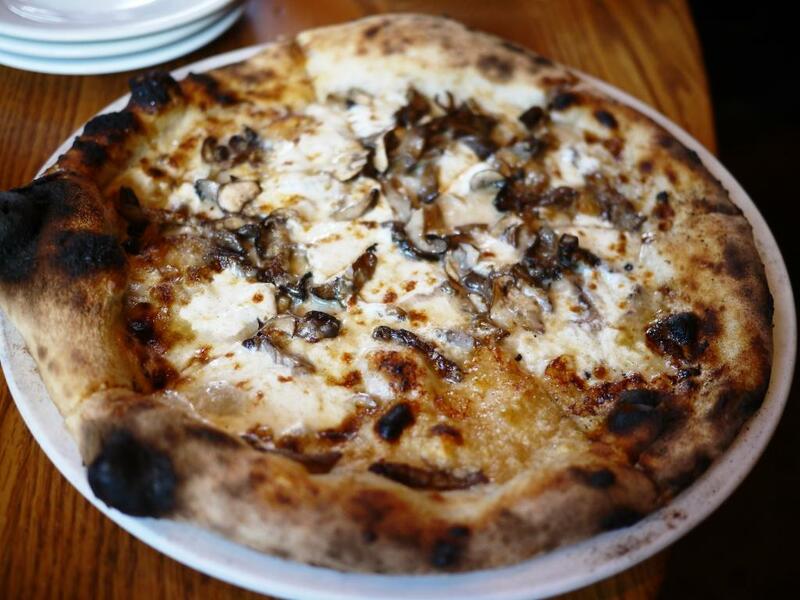 The open-air gastro-pub aims to bring Florence to DC with small plates and wood-fired pizza. In many ways it succeeds. One of my husband’s favorite Tuscan dishes is ribolita, a soup made with bread and vegetables. It’s hard to find on local restaurant menus, and is a welcome sight here. Ghibellina’s version is appropriately hearty, although somewhat one-note. I am not the biggest pizza fan, but lately I find myself chowing down on it quite a bit. Ghibellina’s pizza is at the top of my list. My number one desire for pizza is crispy crust. Ghibellina nails it. Bianca pizza with rapini, mozzarella, garlic, calabrian chilies, fennel seed, and pecorino romani has a great bite and retains plenty of crunch. One not so hot incident here. Spaghetti Alla Trabaccolara is listed on the menu with cod, pollock, and golden tilefish. My husband keeps kosher (no shellfish). We are sharing the dish, and I notice the presence of squid. The server explains that the chef frequently toys with ingredients. Is it appropriate to add shellfish to a dish and not alert diners? Not when there are people who are severely allergic, not to mention others who don’t eat it for religious reasons. I was really enjoying Ghibellina until the squid incident, now I’m feeling a little lukewarm about it. Still, I can’t deny how I feel about the pizza. Barmini is a relative old-timer, having been around for several months. This is José Andrés “culinary cocktail lab” with a menu featuring more than 100 cocktails. This is the perfect spot for my family to celebrate my birthday, since my daughter only eats in kosher restaurants, but can drink anywhere. 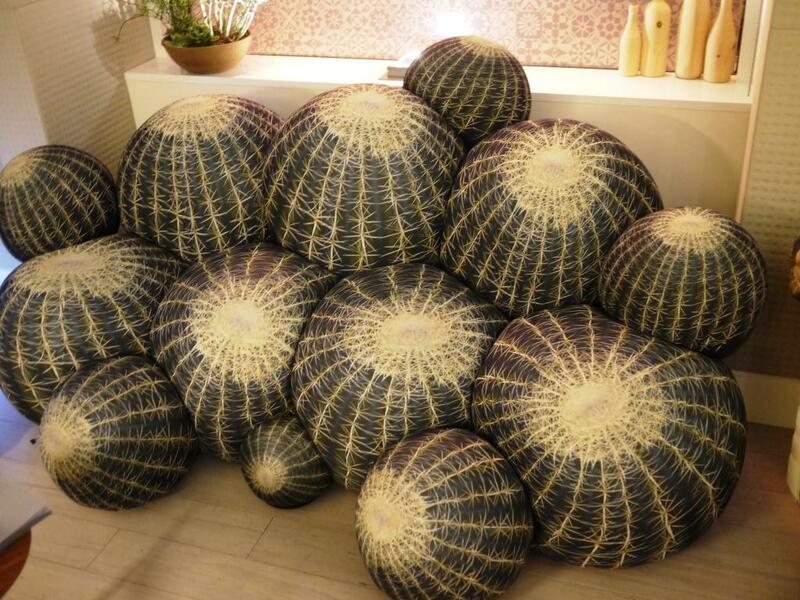 The cactus couch may not be so comfy, but it’s certainly a fun place to deliberate over what to drink. (If you’re like me you can also spend time glancing longingly at the diners in the adjacent “avant-garde” Minibar.) I settle on “Some Like it Hot” which features tequila blanco, calvados, chili, honey, grapefruit juice, and orange bitters. I do like it hot! I hope to make a meal out of Barmini’s snacks and sweets, but there’s really not enough on the menu to accommodate my family’s various dining restrictions. This means I get the bánh mì burger with beef short rib, bone marrow, and pickled vegetables all to myself. It’s a small but mighty intense burger with just the right notes of spicy, sweet, and sour. Barmini has ignited my desire to further explore the city’s cocktail lounges. 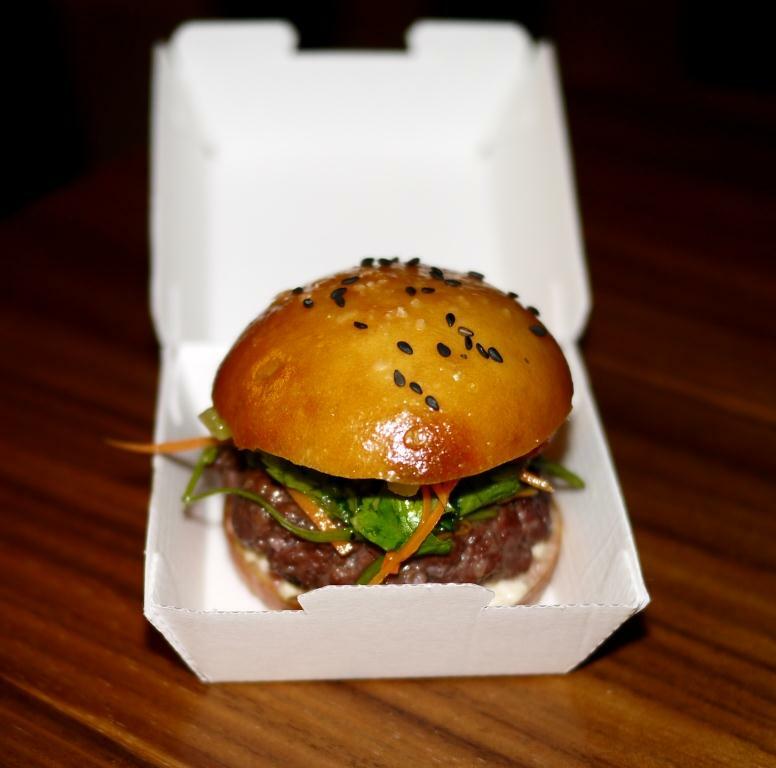 But Barmini will beckon me back for its burger sometime soon. Etto is another Italian newcomer to 14th Street. This one comes from the owners of Standard and 2 Amy’s. I wish Etto took reservations. Since it doesn’t, it means that you have to arrive early, if waiting for a table isn’t your thing. On the bright side, earlier means quieter. Like neighboring Ghibellina, Etto features small plates. 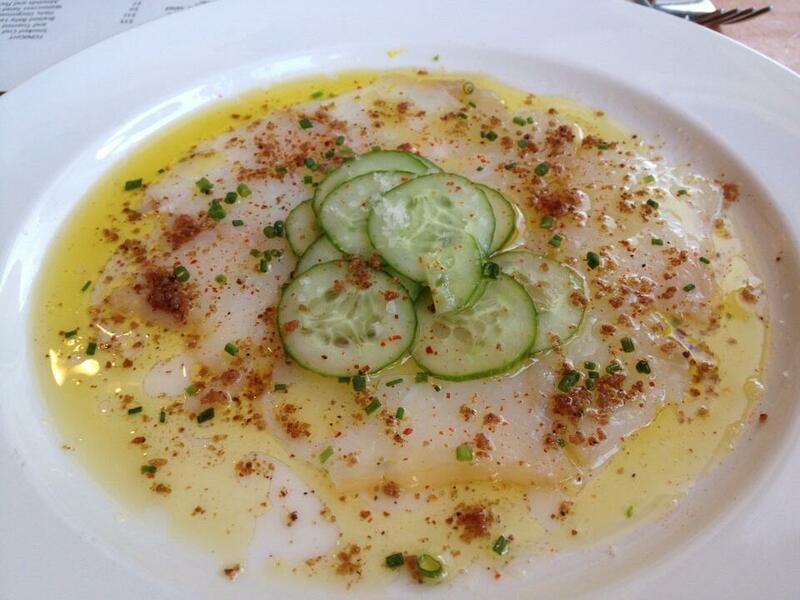 I am particularly enamored with smoked cod with citrus, cucumber, and toasted breadcrumbs. Its got heat, texture, and tang. Farro salad with baby beets and beet greens has enough healthy ingredients to warrant extra bites. 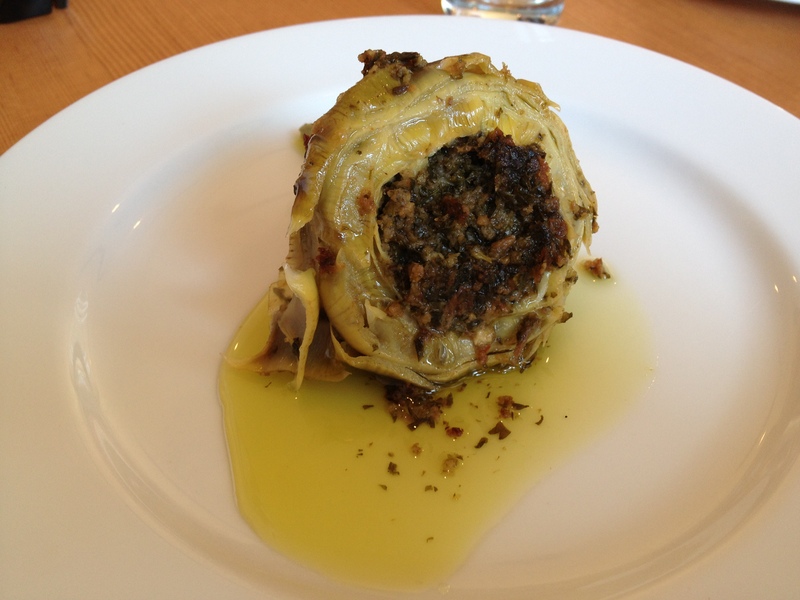 Roman artichoke surprises us (in a good way) with a salty filling of anchovy, mint, and Seville orange. Pizza with squash blossoms, roasted cherry tomato, buffalo milk, and ricotta doesn’t wow me. The flavors are laid back, and the pizza is not at all hot (temperature-wise). 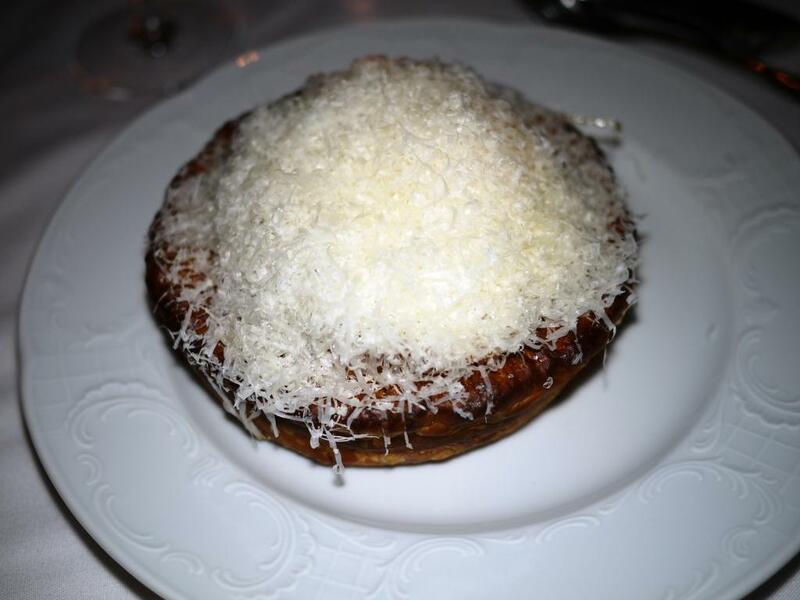 I prefer the margherita pizza, but the bottom is too soggy for my taste. Back to the plus side, the service is warm and friendly, and I really like the casual vibe. A perfect solution could be small plates at Etto and pizza at Ghibellina. DC’s restaurant scene is on fire. That’s why I plan to spend as much of my summer as possible taking advantage of the heat.